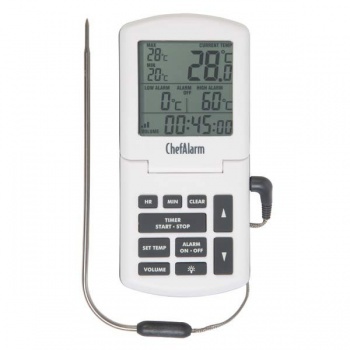 The ChefAlarm® is a professional cooking thermometer with a count up/down timer which does also simultaneously display the count up/down time, current temperature, high/low alarms and max/min temperatures. Easy to use with lots of features. 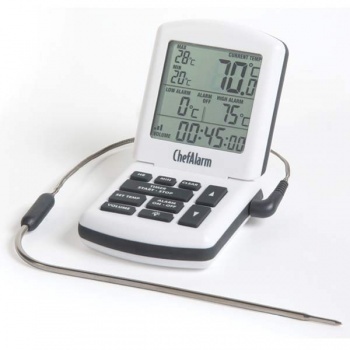 Great thermometer to have around when cooking for yourself or cooking for others. I bought this to check the accuracy of our oven thermostat. I ordered the thermometer in the afternoon and it arrived 10am next day. well done the company and Royal Mail.